Stretched out white & black cat sculpture – handcrafted with polymer clay. Stretched out black & white cat sculpture – handcrafted with polymer clay. Curled up white & black cat sculpture – handcrafted with polymer clay. 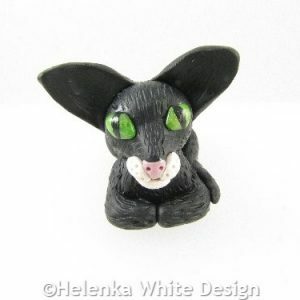 Sitting black cat sculpture – handcrafted with polymer clay. Sitting Siamese cat sculpture – handcrafted with polymer clay. 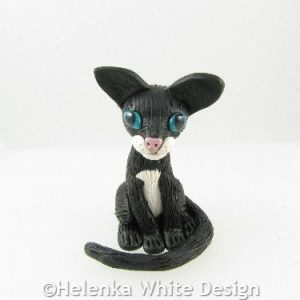 Sitting black & white cat sculpture – handcrafted with polymer clay.